Education sprouts in many forms depending on how you look at it. Our views of what it should look like and how it should materialize depend on our value of it and our experience with it. What if a class consisted of words that led to information that whirled into blended realms of creativity set up just for students, created by students. The students then dictated what they learned instead of reluctantly ingesting information and standards imposed upon them. That exists here and now. In every nook and cranny, around every corner, inside every well-engineered lesson, students might just learn what they want to learn and actually find success while improving the world around them. Take a tour of 50 different views of education that somehow find a similar note: Education must change. Sir Ken Robinson campaigns changing education through talks, writing, advising, and teaching. He believes education must change because it’s a stale environment in which most students don’t really learn what they should or want to learn. How that happens makes all the difference—from the ground up. People, students, and teachers create the change not the administrators or the executives. With social networking growing to the point that Technorati last tracked about 70 million updated blogs, using social networking to teach any subject and catapult students into a realm other than stagnant learning means blending the traditional education with modern communication. Many educators believe this is the route to engaging students in learning all the basic skills they need. Educators believe using talking or videos to review lessons and teach concepts helps students learn and retain more. Between TedEd and TeacherTube, education talks a lot about everything. Students love movement, television and film so utilizing these snippets of information transforms the meaning of learning especially for many students who are strapped for time. According to John Taylor Gatto, teachers should choose the real world over the classroom. Students don’t learn to live or survive in a classroom. They learn to survive in the real world so the concept of underground education challenges educators in any walk of life to give students the tools with which to live and breathe in the world around them. If the lesson must be taught, then teach it thinking of who they might become. Dr. Vadana Shiva’s mission lives and breathes in Navdanya, an organization that promotes self-reliance and earth democracy. The leaders of the organization are women who find strength in women’s movements and give women a voice. Earth democracy developed from the idea of seed saving helping local communities become self-reliant. In China, seeing education as an asset means you’re a high net worth individual or HNWI. China has approximately 1.4 million HNWI’s equaling out to around $8.7 trillion in wealth stock according to Julius Baer Group Ltd. With the cost of tertiary education rising so quickly, this also makes education a luxury item. Even more significant to learning than being an asset, social status plays an underlying role in the education of a small or large group of people whether it’s an entire country’s agenda or certain sections or communities within that country. In other words, if that community puts importance on education as a social benefit, students and people in that community will strive to achieve it in order to raise their status in the community. Originating in Japan, lesson study applies to style of teaching. Conceptually, lesson study promotes the idea that teachers constantly improve and change their style of teaching based on students’ performance and reaction to it. It sounds like what we already do but not exactly. Collaboration between teachers is paramount and so is change. Combining these two factors with constant change means students never stop learning. Another Japanese form of teaching is to allow students to struggle through a lesson with guidance from their teacher. In other words, the student shouldn’t be embarrassed about failing the first time around, not even the second or third time. The instructor should actually encourage students to learn from that failure. After experimenting with a computer in a wall where poor children basically found a way to learn without a teacher, Sugata Mitra won the Ted Prize of $1 million in 2013. He wrote an ebook named Beyond the Hole in the Wall offering an ideal for education based on a very real premise that students learn no matter what social status or economic background. They simply need the tools with which to do so. In regards to tertiary education, problem based learning is gaining popularity in Australia. Students are given a real-world problem then they work together to find a solution to this. In Australia, nursing programmes have begun to embrace this style of teaching and learning because it challenges the students to work as if they’re dealing with real problems they’ll encounter in the workplace. Teachers find it invaluable because students learn more with this method. Another view found all around the world but also heavily used in Australia surrounds the use of technologies as the key to students improving their learning abilities and their marketability. Within the realm of technologies, teachers encourage students to innovate, bringing them full-circle into the 21st century where survival and stability rule. According to Dimitrios Thanasoulas of Greece with relation to philosopher Giambattista Vico, humans only understand what they construct. This concept runs on the idea that students create their own learning environments, actively participating in the knowledge they ingest. Creating your own learning involves making mistakes with no preset agenda in place. Constructive learning is not stable so many educational systems reject it. Many countries are creating a climate conducive to international students’ interests and desires. In 2010, $7.7 billion was spent on tuition by international students in Canada. Countries that give attention to international students find economic benefits in both education and employment. Free education has materialized in the form of Massive Open Online Courses as a direct result of students wanting to learn but not having the resources to do so whether that means they don’t have the money or the background to achieve their learning goals. Competency based education says that regardless of the length of time it takes for a student to complete a course, the student completes it based on what they know already. The only factor in determining how or when the student completes the course is the mastery of knowledge within the subject. More an agreement than a concept, the Bologna Process is an agenda bent on responding to the changing landscape of education. Higher education systems in European countries organize themselves to create a more modern, advanced system of higher education for the incoming students. The Lumina Foundation argues that degree programs need to set benchmarks for students that prepare them for an ever-changing workplace. These degrees then aren’t simply meant for study but give students goals and skills that will help them find and maintain jobs once they enter the workforce. Herbert Stein’s Law states, “If something can’t go on forever, it will stop.” Many within and outside of the field of education have latched onto this law as a wake-up call to educators. It shows its presence with the advent of so many changes actively taking place and being embraced throughout every educational environment. Some see online education as a disruptive process in the clean line that traditional education has managed to stronghold, which links to Herbert Stein’s law in the sense that online education is putting an end to this stronghold. Americans see this as a crisis because of the unemployment rate and the competition from China and India. In response, disruptive innovation means the expense and elitism of education is changing to provide an affordable alternative. Open innovation promotes the idea of competition. In the business world this means opening up platforms for companies in the form of contests. In higher education, this means bringing together various institutions for competitions locally and globally. It means not confining it to only a select few but opening up to as many contestants as possible. Another view and criticism of education puts the success or the blame on the teachers’ low salary. Respect for the teaching profession should be shown monetarily then creating high-quality teachers. Finnish educator Pasi Sahlberg believes that educators should be paid more and for good reason. In Finland, receiving placement in a master’s programme for teachers is harder than getting a law or medical degree. Instead of focusing on meeting standards and racing to the top, Finland focuses on providing a quality education to everyone. Contrary to many of the other views in this list, Finland doesn’t believe in competition or even giving grades until fifth grade. The system also doesn’t believe in punitive measures but encourages trust and equality. Organizations such as The Adolescent Girls’ Advocacy and Leadership Initiative (AGALI) use social support strategy to ensure young women learn about themselves beyond social norms. Realizing that the institutionalization of education can only go so far, these organizations provide education in other, far-reaching ways that give people a sense of confidence and self-worth necessary to finding success in life. Elevating the teacher as the key to changing the groaning educational system, change agents are teachers who not only embrace the notion of change but simply make change happen. They don’t wait for a law to pass or a standard to take effect, they just take the initiative to ensure students learn no matter what the circumstances or limitations. In the United States, the implementation of common core standards is meant to support higher education, which has reported a lower standard in educational abilities than in years before. It’s also meant to challenge students more by forcing education to enter the 21st century with more student-driven learning. Start-ups and education are slowly finding each other and attempting to link up with one another. The only problem is that bureaucracy in education creates slow change. But, when that change does occur, fast change and innovation give students and educators an ecosystem in which to thrive and learn. LearnLaunchX showcased startups’ products to educators creating enthusiasm in hopes of changing educational sloth. We move as a global society so that where ever we go, we carry our smart phones with us. Between conversations, we look down and tap away at whatever our minds fancy necessary or entertaining. So education, at least in the most cognizant facets, says it will be there too. It will walk with us on our journeys, our whims, our detours, and our desires. If we take our laptops around the world, education will walk with us according to mobile educational theories. On that same note, why place a student in a box? If a student prefers to learn while traveling the world, then so be it. Breaking down the walls of education doesn’t simply mean creating online classrooms but encouraging students to meet in open spaces and learn outside the confines of the institution. 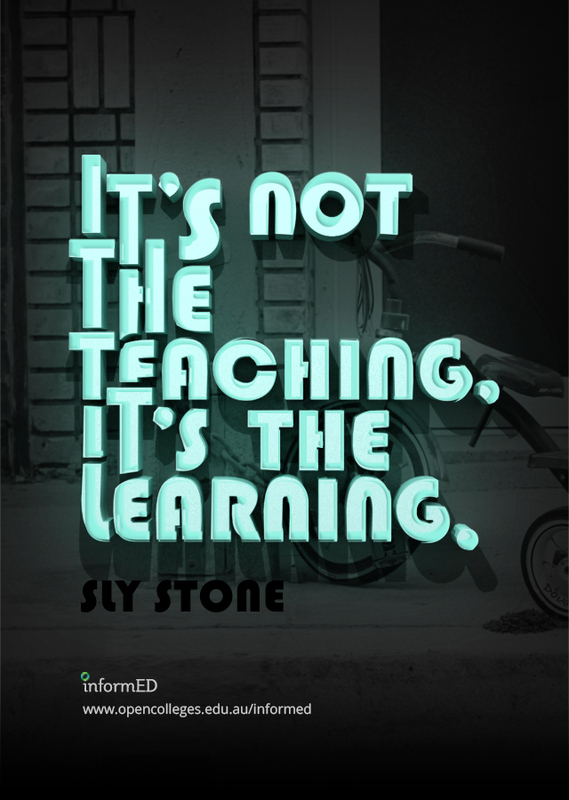 Teaching outside the classroom should be a source of inspiration, not a strange phenomenon. Giving students the ability to control their economic status through teaching them skills and economic value systems around the world helps them become leaders and innovators but also helps them find a basis for earning an income in a fluctuating economy. Whether students are seeking a specialized higher education or a specific skill in order to further a career path, vocational training has become a more popular avenue and view of education in general. Often used by governments to train displaced workers, it can be a valuable source of study for anyone wanting to specialize in areas such as various types of medical technicians or even graphic arts. The concept of gamification basically means introducing the gaming experience to environments where gaming would normally be unacceptable: Education. The word gamification was actually coined by an English programmer, Nick Pelling, in 2004. Adding gaming to education means simply enough that the user completes certain tasks for rewards just like in a video game. Smart capital involves placing funds exactly where they should be. Instead of handing funds over to an entire community or country based on need, the money flows into the hands of those that need it but will also use it effectively then share their ideas and funds with others so that we eliminate mediocre use or even no use of technology and funds. Many foundations or organizations play a catalytic role in advancements in education such as the Bill & Melinda Gates Foundation. They help innovators change the dynamics of education by providing monetary and other resources as support through college-ready education and post-secondary success. The main idea is to strengthen the relationship between teacher and student so that the learning process progresses to the point at which students not only learn but apply what they learn. Blending learning and technology gives students an advantage over others. It’s one thing to move along at one’s own pace. It’s another to learn at one’s own pace. Linking the two makes a difference worth noting. Teachers don’t have to be breathing over the neck of the student. Guiding the student is often quite enough. With iTunes and Pandora having built solid ground, there’s a fascination with sound and listening to stories being told while music splices through segments giving education an upper hand if utilized correctly by educators all over the world. In the United States, the Latino approach means including Latino culture in educating any sector of various communities. In other words, adding various cultural influences to the educational environments can help students learn more and better. Latinos traditionally find lower wage jobs and end up with a less valued education. Using the Latino approach makes a difference because students can see themselves as valuable to whatever culture they find themselves living in. The individual takes the back seat when it comes to the idea of collectivist education. Students learn in groups and more importantly with each other better and more effectively than alone. This doesn’t mean that we disregard the individual online learner, but it means that the online learner will learn better when exposed to a group of learners with similar interests who can offer insight and questioning into the process of learning any particular subject. Ironically enough, personalized education holds even more value than ever. The difference is that personalized education doesn’t mean there isn’t collective education. It just means that the education is given importance to personalized needs and desires, that the individual should mean something within the collective forum. With the personalized education, the value of flexible learning needs to be addressed. Flexible learning offers students choices, convenience, and a personal approach to learning any given subject. Because we are individuals, learning and teaching should entail some form of flexibility within the realm of standardization. As bluntly put as possible this means turning learning on its head. Take the learning environment and flip it around so that students do the nitty gritty of learning with their teachers or professors as opposed to studying for exams alone in a dark room with only a bright lamp to guide them. The fun part happens at home with a link to a short article or a video. The tough part happens in school where the teachers can help students fill in the blanks. The classical education of any group of students rewind to a time lost to them if delivered in a lecture format. Students can experience the beauty of Shakespeare at any age because they see it like it was and is, in a theater, no matter how small or large. Students at Oxford, in an online class, or students at a small school experience classical education because it’s handed to them by teachers who deliver it in motion. Countries all over the world offer free post-secondary education giving students in those countries an obvious advantage over other students who may or may not receive any education at all. Students might be able to pay for their education if they work while they’re putting themselves through school and if they’re lucky enough maybe they have a resource providing them with funds for their education, but free resources guarantee an education that adds value to whatever they want to become. Religious education exists because communities and cultures give it an importance beyond knowledge. Linking them together with time and presence, students learn the nature of who their families and communities believe they are as well as how to deal with a changing world full of disappointments and violence. Moral education involves many religions and many insights into the way humans interact with one another. How we manage our way through difficulties is just as important as how we maneuver through technological advances, at least to our ancestors and their views of right and wrong. Within the realm of creating morality, there’s character standing right next to it. Character may even be a stronger element of education than morality. With students so quickly exposed to violence and sexism throughout the Internet, character development takes effort and awareness. At every level of education, students should be exposed to it and given a chance to exercise their understanding of it. Readiness Testing points educator and students in the right direction according to the people who view it as necessary. It allows educational systems to decide whether students can perform various tasks at a particular level therefore giving everyone insight into where and how students should move forward. In New Zealand, students are encouraged to use online tools in order to tell their own stories and have their voices heard throughout their own communities and their country. In fact, the Ministry of Education’s goal is to have students express themselves and take responsibility of their own learning. Expeditionary learning brings the learning out into the world expediting the need to learn more than what’s confined inside the classroom walls but even more so using the world to learn. Students feel engaged in learning while achieving goals and accomplishing character development when exposed to learning outside. According to renowned educator Yong Zhoa, high-stakes testing creates more problems than provides answers and it doesn’t match success in the world today. Educating creative, entrepreneurial students should be the focus of education with what he calls world-class learners in his latest book. Zhoa believes there needs to be a paradigm shift in education that builds on students’ strengths and gives them a format where their talents flourish and take shape instead of education shaping them. Excellent way of describing, and nice post to obtain information regarding my presentation subject, which i am going to convey in college.